Daniel Rotman wishes he had been able to tell sooner that his cat was sick. Rotman says that in 2010, he started noticing that his cat, Gingi, wasn’t her normal self. He brought her into a veterinarian’s office, and Gingi was later diagnosed with feline leukemia. Not long after that, she passed away. Many owners don’t realize their cats have become sick until they stop eating, he says, or begin to act lethargic or urinate outside their litter boxes. Hoping to help other cat owners avoid the experience he had, Rotman founded PrettyLitter in Los Angeles last year, and has recently been refining the business in Wisconsin’s Gener8tor startup accelerator. PrettyLitter makes cat litter that changes color to indicate possible health issues with a cat based on the contents of its urine. Rotman says the company’s litter will turn certain colors if a cat’s pH level is abnormal, or if its urine contains blood or high levels of the compound bilirubin, which can be a sign of chronic liver disease. To date, PrettyLitter has shipped more than 50,000 bags of its litter to customers across the country, Rotman says. PrettyLitter joined Gener8tor in August, seeking to ramp up sales. Rotman says that business grew 1,300 percent between September and October, and the company recently sold two months’ worth of inventory in just three days. Gener8tor, which invests in startups and coaches the entrepreneurs who run them, has graduated eight classes of early-stage companies from its core program since 2012. It unveiled its latest cohort on Friday. There are six startups, including PrettyLitter, in the current program. It will culminate on Nov. 3 with a pitch event at the Marcus Center for the Performing Arts in downtown Milwaukee. Troy Vosseller, a Gener8tor co-founder, says the 42 startups that have gone through the accelerator have raised more than $100 million in total. That’s up from $75 million in June. Gener8tor alumni that have raised money in the past few months include EatStreet ($11 million), Catalyze ($6.5 million), Abodo ($4.8 million), and Allergy Amulet ($1.1 million). Of Gener8tor’s 42 portfolio companies, four have been acquired and four have gone out of business. Participating startups receive $20,000 in cash at the start of the program, in exchange for Gener8tor taking an equity stake of 6 to 7 percent. Companies are guaranteed a follow-on investment of $70,000 in the form of an uncapped convertible note. In recent years, the accelerator has held its core 12-week program twice a year—once in Milwaukee, and once in Madison, WI. 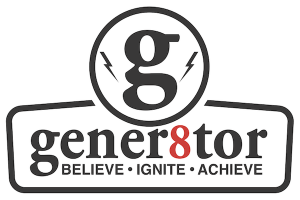 Gener8tor in June announced plans to open an office in the Minneapolis/St. Paul area and run programs there. —Exit 7C is developing a digital platform that allows users to compare fuel prices at participating gas stations, and pay for fuel using a mobile app. The Milwaukee-based startup says transportation fleet managers can use its software to monitor how much their drivers are spending on fuel. Being able to buy gas with a smartphone eliminates the possibility of having one’s credit card information captured by a skimming device, Exit 7C says.